In this article, Professor H. Charles Johnson shares his views on CHOICE Act and Dodd-Frank Act rollback. 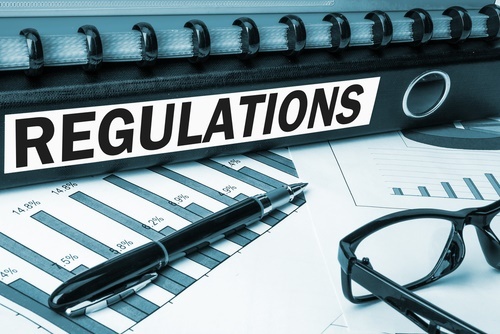 The author summarizes some of the changes that lessen compliance costs and that may serve to incentivize smaller community-based lenders the provide capital to small enterprises. As the global financial crisis in the year 2008 exposed the flaws of existing financial laws and regulations of Wall Street and U.S. banks, the government started to consider reforming the regulation to minimize risks in future. This led to the signing of the Dodd-Frank Act (Act) in the year 2010 by President Obama. Dodd-Frank, named after Senator Christopher J. Dodd and U.S. Representative Barney Frank, was intended to reform financial regulation. It was signed to make the financial system more stable. This Act brought a massive change in the state’s financial regulation and influenced the whole financial environment of the U.S.; affecting not only U.S.-based banks, but also foreign subsidiaries operating in the U.S. Most financial researches that are done to evaluate the effects of the Act on the financial state of the country show that the Act has contributed well to financial stability, financial transparency, and stronger consumer protection laws. It saved consumers from becoming a victim of risky mortgages by ensuring that they understand their functionality. On the other hand, it required banks to consider the consumer’s financial status before making loans. However, there has been a debate about the effectiveness of the Act regarding economic growth, as it puts many restrictions on big financial institutions and industries. As President Trump became the president in January 2017, he ordered a review of the Dodd-Frank Act in February 2017 and the Treasury Department presented a detailed report on the subject in June 2017. This report was supposed to indicate the functional effectiveness of Dodd-Frank regulation. Later in May 2018, a bill named CHOICE Act was passed to roll back a number of provisions of Dodd-Frank Act. It is hoped that this new legislation would increase the economic growth of the country by easing the regulations regarding small and regional banks. The measure eases restrictions on all but the largest banks. It raises the threshold to $250 billion from $50 billion; under which, banks are deemed too important to the financial system to fail, this regulation affects the 38 largest banks. By comparison, the more than 5,000 community banks in our country generally have one billion dollars in assets or less. Those regional and mid-sized institutions would not have to undergo stress tests or submit so-called living wills, both safety valves designed to plan for financial disaster. The act lowered the capital requirement for the financial institutions that keep their clients’ assets and yet, do not function as a lender. Further, the act lifted the requirement of Volcker rule for the lenders who possess assets with a value of less than $10 billion. It also eases the reporting and disclosures requirements for small lenders and thereby lowers compliance costs. Other than this, the CHOICE Act is designed to enforce easier reporting requirements for mortgage loans, which will protect student loan borrowers to some extent. Also, the bill needs Federal Housing Society to establish standards for the Federal National Mortgage Association (FNMA) to observe alternate credit monitoring methods. So, what does all this mean to the professional business valuator? Maybe quite a bit if smaller lenders are incentivized by the reduced oversight and restrictions to provide capital (the life blood of all business) in the capable hands of the small business owner. The added capital, or at least resources of additional capital, may fuel business development, growth, and innovation. In short, the Dodd-Frank Act rollback may be a great boom to the business owner and, in turn, to the value of the small main street business. H. Charles Johnson is Assistant Professor at Benedictine University in Mesa, Arizona. Mr. Johnson can be contacted at (480) 878-7522 or by e-mail at hjohnson@ben.org.